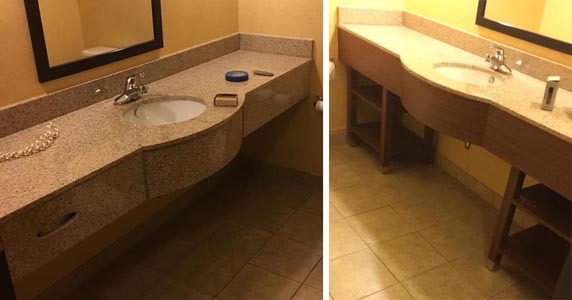 commercial Furniture/ cabinet Refinishing Restoration for Hotels and Offices. .. Furniture Medic by MB Restoration . . Formely Beim4 Furniture Restoration.
. . . We can Restore Your Office Furniture Treasures . 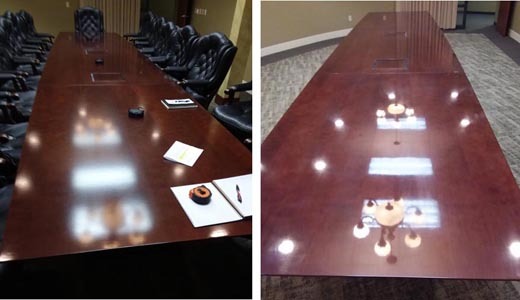 We can Enhance the wood in your Hotel Lobby. .
* * Greenville, Centralia, and All Towns in between. . Repairing . Enhancing . Refinishing . Commercial Wood . 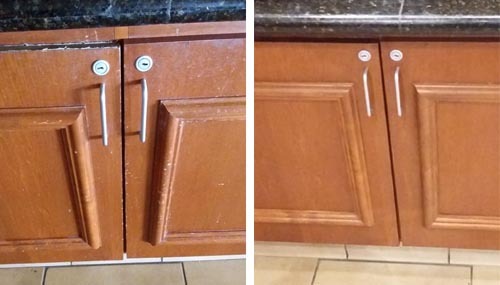 Commercial Furniture/ Cabinet Repair/ Restoration. Office and Hotel Furniture and Cabinet on site repairs. Examples of our Hotel/ Office commercial restoration. All of this work was performed on site. . Cell: 618-246-6146.
three (3) step polishing system. Note the clarity of the reflection. This polishing system is done on site and takes a couple of days. polishing is a good economical choise. 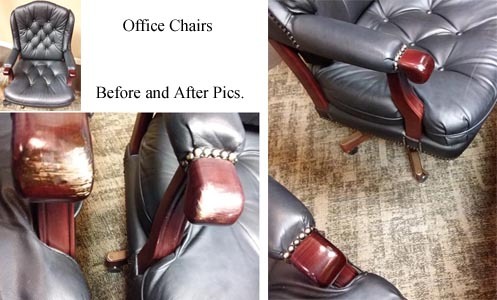 These pictures show the damage and repair of a chairs' arm rests. 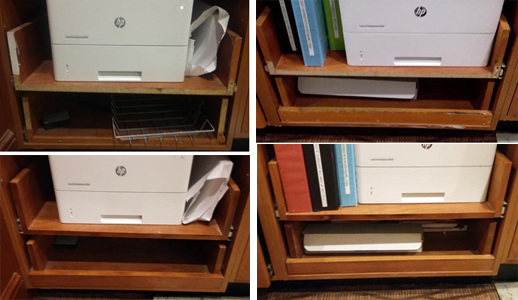 Here shows the before and after of a cabinet in a hotel lobby. refurbished in the lobby and restaurant. the hallway and around the elevator. They are very happy with our work. Please Call for a Free Quote. . 618-246-6146. - I have driven from Vandalia to Metropolis. I'll be glad to come out and look at your Treasure. Thank-You for visiting our website.